Hanoi City is the capital of Vietnam and become the second city that have a big population in the country, so you should visit this city to discover about its special. Let check it out for a great views and experience at this city. I prefer to get there by bus at night, because from my location right now it will take about 14 hours travel. It was a long way and tiring, although we decided to take a bus with beds. It was an unexpected even, unfortunately, he bus left us somewhere at the border of Hanoi. It’s about 5-6 km distance to the city center. It’s different for some other cities, where the bus terminal always nearby the center). Or maybe we took a different route. If you see from the maps, there is a large area to move inside the city area. Hence, we had to take another bus to move into the city. After we make a discussion, we end it with conclusion to go to a certain hotel that can provide emissaries to the station and perhaps they can provide it free up there. We try to take a cheap hotel nearby and found one. The rooms are a little bit dirty and stuffy so I preferred to look anything like the bed provided in the bus that is much cleaner than this. I refused to pay the amount demanded by them for such improperly vehicles (one of the main item to consider) both verbally and physically. We could not believe that it’s so hard to have the exact requirement and wasting time searching in the street, such a conflicts. Let just pass over from this episode and we end up to stay at the hotel Ha Noi Boutique, which gave us a small but clean room ($12/double room with private bathroom and free internet). Seem that proven to be difficult to find a nice accommodation at an affordable price in Hanoi. Actually, there are some hotel can provide us of what we need but we have to pay more for such facilities. Hanoi city is quite an expensive city. After took some rest and get bath, we started planning for a visit to one of the oldest houses in town in just $0.20/person. It is located at Ma May (one of the important commercial area) and it’s quit easy to find the address box and seemed quite nice. 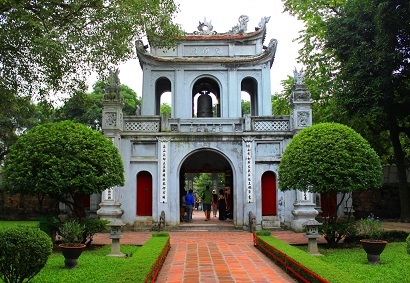 Then we decided to have a visit to the temple located on a small island in the lakes at the city center called Hoan Kiem. It was a modern kind of temple, without great architectural landscape to discover. Continue our journey to walk through Hanoi, we arrived at the Ho Chi Minh Complex. Here you can have a visit to the museum (entrance ticket Ho Chi Minh Museum is 1 euro/person). You can see a great attraction in this area. Besides the museums there is also the Mausoleum of Ho Chi Minh City where you can see the great architectural work of it. 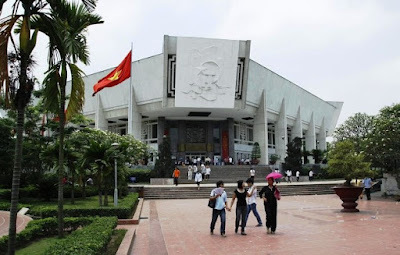 Although Ho Chi Minh is a capital city, I could not see the huge amount of visitors to this museum. Take precaution because photography is not allowed in this area and don’t ruin your vacation with a ticket from the authority. 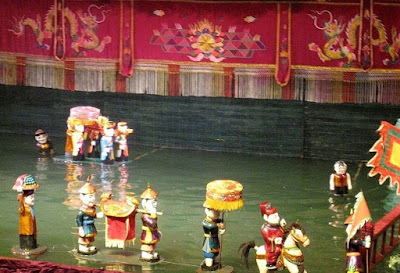 In the evening, we decided to go to a enjoy Vietnamese Water Puppet show. The cost for this show is just $7/person. It was interesting and very enjoyable thing to do. There are no translation, but it's pretty easy to follow the story by just watching their performant. In the next day, we decided to have a visit to the Temple of Literature before leaving Hanoi. The cost for the ticket is $0.20/person. This temple is actually the oldest education center in Vietnam. It was so nice enough to have the opportunity to see their traditional music performance. The musicians used some music equipment that I had never seen before and we were very impressed by the representative there. 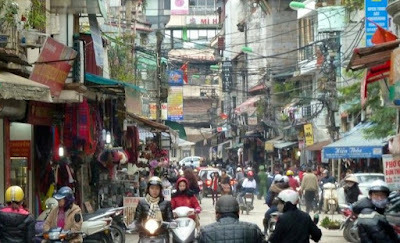 We just stay in Hanoi for a short term only because the city appeared to be very agitated and exhausting. There is no problem if you have enough budget for transportation. Otherwise, motorcycles and bustle provide the unpleasant smell. We are not so attracted to the traveling markets around so much. Although there were some sights that we did not see them before. 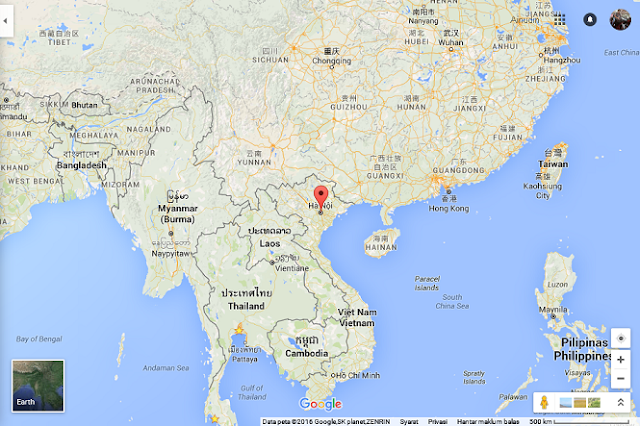 So, we decided to continue our journey to Laos. Perhaps there is much exciting places to visit in that city.